Jospeh BALCOM (1705 – 1787) was Alex’s 7th Great Grandfather, one of 256 in this generation of the Shaw line. Joseph Balcom was born 23 Feb 1705 in Attleboro, Mass. His parents were Alexander BALCOM Jr. and Sarah WOODCOCK. Joseph Bolkom married Mary PARMINTER 21 Mar 1733/34 in Attleboro, Mass. Joseph died 17 Dec 1787 in Attleboro, Mass. Mary Perminter was born in 1709 in Sudbury, Mass. Her parents were Joseph PERMENTER and Mary GIBBS. Mary died in 1752 in Massachusetts. Children of Joseph and Mary all born in Attleboro, Bristol, Mass. 12 Jan 1768 Roxbury, Mass 1787 in Attleboro, Mass. Mary’s husband Stephen’s surname is shown as Andros in Genealogy of the Balcom Family on Page 8 as Stephen Anderson in A First Book of the Balcombe Family. 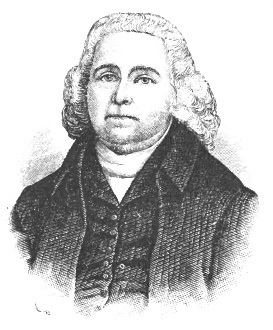 Sarah’s husband Ephraim Hall was born about 1741 in Attleboro, Mass. His parents were Ephraim Hall (1704 – 1794) and Deborah Thompson (1717 – 1750). After Sarah died, he married 8 Dec 1791 in Attleboro, Mass to Widow Hannah Fuller. Finally, he married 25 Apr 1807 to Silence Tucker. Ephraim died 31 Jan 1816 in Attleboro, Mass. ii. Sarah Hall b. 29 Oct 1768.
iii. John Hall b. 2 Feb 1772. Phebe’s husband Zephaniah Ross origins are unknown. Phebe (Bolckom), and Zephaniah Ros of Wrentham, int. Sept. 28, 1765. Sarah Pope (1700 – 1748), but that Zephaniah is said to have married Abigail Briggs ( – d. 1821 Franklin Co VT) At the very least, Zephaniah must have been our Zephaniah’s cousin. Attleboro touches Rhode Island. Also this Zephaniah Ross lived in Attleboro at enlistment according to the following pension records. Zephaniah Ross married 12 Sep 1801 Springfield, Mass to Abigail Marsh. Maybe Abigail Briggs was her maiden name. Zephaniah was 58 years old in 1801 so Abigail was almost certainly his second wife. Ross, Zephaniah, Attleborough. Private, Capt. Caleb Richardson’s Co, Col. Timothy Walker’s regt. ; company return dated Oct. 6, 1775; reported enlisted into the train June 12, 1775 (See Zephaniah Rose); also order for money in lieu of bounty coat, signed by said Ross, dated Feb. 7, 1776; also copy of an order on Ephraim Newell, Town treasurer of Attleborough, dated July 5, 1776 for wages due said Ross and others for service on the alarm caused by the battle of Bunker Hill; also, Private Col. Sherburne’s regt. ; Continental Army pay accounts for service from Aug. 22, 1777, to Dec 31, 1779; residence, Attleborough; credited to town of Attleborough; also return of officers and men belonging to Massachusetts in Col. Henry Sherburn’s regt. certified at Boston, June 15,1779, by Capt. Ross, Zephaniah, Cont. Line (MA), S11328 soldier applied 11 July 1820 aged 77 a resident of Cambridge, VT, soldier lived at Attleborough in Bristol Co. MA at enlistment, soldier original applied 28 May 1818, in 1820 soldier had a wife Abigail aged 66 and no children under his care, on 5 Dec 1835 soldier had moved from St. Albans VT to Wilbraham in Hampden Co MA because both his wife and his daughter with whom he lived and lately died and he wished to live with his relatives and friends of his ‘earlier years’ (no names were given), on 9 Feb 1825, in Franklin Co VT one Lucinda Whitney wife of Paul Whitney, Esq of dunham in Lower Canada made aff’dt & stated soldiers married her mother about 1801 or 1802 in Old Hadley MA & Dec 1810 soldier & wife moved to St. Albans VT and in the fall of 1817 or 1818 soldier moved to Prov of Canada & that his wife (her mother) died at her (Lucinda’s home in 1821.
i. Nathan Ross b. 25 Oct 1767.
ii. Louis Ross, b. 11 Jul 1771.
iv. Phebe Ross bp. 30 Oct 1773 Attleboro, Mass. – d. 4 Aug 1803 Deerfield, Franklin, Mass. m. John Clapp (b. 13 Dec 1764 in Deerfield, Franklin, Mass. – d. 28 May 1837 in Deerfield, Franklin, Mass) John’s parents were John Clapp (1738 – 1826) and Eunice Smead (1738 – 1825). Phebe and John had at least two children, Calvin (b. 1797) and Euniced (b. 1803). vi. Zephaniah Ross bp. 21 Apr 1776 Enlisted 23 Feb 1814. as a Private in 4th Regiment Company Commander Capt. Leonard of Mass. He was 5′ 8″” in height, blue eyes, brown hair and a light complexion. Age 38, he was a blacksmith from Attleboro. He enlisted in Hancock, Berkshire, Mass. (the western most township in the state ) by Capt. Leonard. His period was for the entire war. He served at Fort Warren on Governor’s Island in Boston Harbor [now under Logan Airport]. Discharged Mar 31, 1815. New England experienced very little actual war within its borders, yet it felt its pressure heavily in the paralysis of its industries. In the 1820 census, Zephaniah lived in Washington, Berkshire, Massachusetts with a household of nine while in the same census the elder Zephaniah was living in Cambridge, Franklin, Vermont with a household of two. In a bit of trivial, Eli Whitney’s sister Elizabeth Fay Whitney married Ebenezer’s son from his first marriage Elihu. Rebeckah’s husband William Clark was born 2 Sep 1747 in Norton, Mass. His parents were Seth Clark (1723 – 1811) and Mary Wilde (1721 – 1804) (NOT Nathan Clark (1704 – 1782) and Jemima Etheridge (1703 – 1793)). William died 20 Mar 1843 in Belchertown, Mass. William Clark’s declaration of service he states “I William Clark of Belchertown in the county of Hampshire and common wealth of Massachusetts of lawful age do testify and declare that I was born in the town of Norton now the town of Mansfield…” (dated 7 June 1832). another document “Know Ye, That I William Clark of Woodstock ….received of my honored father Seth Clark and to his heirs…(dated 4 May 1786) I have several other documents supporting Seth Clark and Mary as his parents including statements from his brother’s John and David. Norton Records also have this family record (pg. 79). Attleborough records page 247 William Clark of Norton and Rebekah Bolkom Married May 20, 1773. Norton Records page 212, under Clark, ‘William [int. 2nd] and Rebekah Balkom [int. 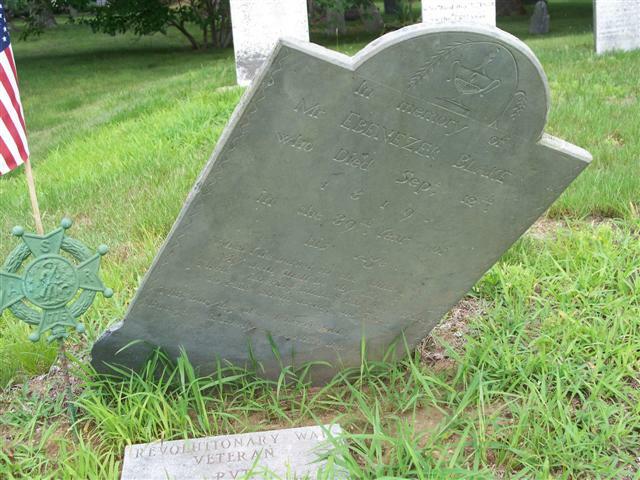 Rebekah Bolcom] of Attlebourough, May 20, 1773.” William’s headstone reads Dea. William Clark died March 20, 1843 AE 90. March just shy of April birth year then 1852. Rebekah’s reads, Mrs. Rebecca wife of Wm. Clark died Nov. 22, 1836. In her 88yr. iv. Lucinda Clark b. 20 Apr 1781 in Woodstock, Windham, CT, d. 2 Apr 1864 Belchertown, Mass, m1. Rufus Wright of Weston NY in Belchertown MA in 1802, m2. David Jenks in 1814. Elijah was a private and a drummer and fifer in the Revolutionary War. During the Revolutionary War Elijah Bolkcom served in Captain Stephen Richardson’s Company, second in Fourth Regiment in the “Second Campaign for Cambridge” and in what was called “The Six Week Campaign” in Roxbury, Masschusetts both in 1775. When Elijah died in February 1798, he left a widow Marcy Daggett Balcom and six children. His son Stephen applied for a pension for Elijah’s service for his mother Marcy, and then as the sole survivor of Elijah after his mother’s death. Marcy’s father who was a Colonel and under whom Elijah served. Elijah’s grandson gave an affidavit on Colonel John Daggett’s and Elijah Balcom’s service. 1758 ensign in the 2nd militia company of Attleborough. 1768 made Captain by promotion. 1775 commanded the expedition to Assonet [near Fall River] that broke the Royalist combination which had stored ammunition in that place. This was the one of the first Revolutionary skirmishes. preceding the action at Lexington. Assonet is about 8 miles north of Fall River. 1776 commissioned Colonel in the newly formed 4th regiment. 1778 elected to General Court. Commissioned Justice of the Peace under Provincial Government. At Congress in Cambridge on Sept. 1, 1779 to draw up Mass. Constitution. 1780 represented the town for 9th time at General Court. Baloom, Elijah. Private, Capt. Seth Clark’s co., Barnstable Co. regt. ; service between July 1 and Dec. 31, 1775, 5 mos. 27 days. Balcom, Elijah, Douglas.Private, Capt. Samuel Baldwin’s co., Col. Dike’s regt. ; return of men in service from Dec 14, 1776, to Mar 1, 1777; reported discharged Jan 27, 1777. He also served in the Ninth Campaign in York in 1776. The Boston campaign was the opening campaign of the American Revolutionary War. The campaign was primarily concerned with the formation of American colonial irregular militia units, and their transformation into a unified Continental Army. The campaign’s military conflicts started with the Battles of Lexington and Concord on April 19, 1775, in which colonial militias mustered to defend against the seizure of military stores in Concord, Massachusetts by British Army regulars. Some British units were defeated in a confrontation at Concord’s North Bridge, and the entire British expedition suffered significant casualties during a running battle back to Charlestown against an ever-growing number of colonial militia. The accumulated militia surrounded the city of Boston, beginning the Siege of Boston. The main action during the siege, the Battle of Bunker Hill on June 17, 1775, was one of the bloodiest encounters of the entire war. There were also numerous skirmishes near Boston and the coastal areas of Boston, resulting in either loss of life, military supplies, or both. In July 1775, George Washington took command of the assembled militia and transformed them into a more coherent army. On March 4, 1776, the colonial army fortified Dorchester Heights with cannon capable of reaching Boston and British ships in the harbor. The siege (and the campaign) ended on March 17, 1776, with the withdrawal of British forces from Boston. Abstracted from Robert E Bolkom’s of Lakeland Florida December 1984 Newsletter (thanks to Ronald Balkom for forwarding it to me.) Do you remember learning in elementary school that Antidisestablishmentarianism was the longest word in the English language? I never knew what that word meant. Turns out it was the ideology opposing Elijah in 1781. See my post Fighting Antidisestablishmentarianism for an enhanced version of this story. In the night of December 17, 1781 Elijah Bolkcom 28 years of age and unmarried was at home with his father Joseph, now 75, in Attleboro, Mass. Although Elijah was baptized and raised in the Congregational Church, he changed in May of 1780 to the Baptist Society which was led by Job Simmons. This church had begun 11 years earlier and were Calvinists in theology and though Elijah attended regularly and supported the church, he did not yet enjoy full membership. Attleboro, like most Massachusetts towns was predominantly Congregationalists and the new state constitution provided for a religious tax on every male inhabitant in order to maintain a “standing church” in each town or parish. Since Congregationalists were in the majority, the “standing churches” were almost always Congregational. Following approval by town meetings, the Massachusetts Constitution was ratified on June 15, 1780, became effective on October 25, 1780. It remains the oldest functioning written constitution in continuous effect in the world and was the model for the Constitution of the United States of America, drafted seven years later. In the summer of 1779, delegates were elected to a constitutional convention, which met in Cambridge in September 1779. The convention chose a committee of thirty members to prepare a new constitution and declaration of rights, which in turn named a subcommittee of John Adams, Samuel Adams, and James Bowdoin. The subcommittee in turn assigned the task of preparing a first draft to John Adams alone, a “sub-sub committee of one,” as Adams later referred to it. For the new declaration of rights, the committee of thirty members assigned the drafting directly to John Adams. However, the articles on religion was referred to Calvinist Congregational Clergy who guided the orthodox Puritan outcome. In 1781, Article 1 was the subject of a landmark case Brom and Bett v. Ashley which outlawed slavery in Massachusetts. In 2004, the Supreme Judicial Court of Massachusetts ruled in Goodridge v. Department of Public Health that it was unconstitutional under the Article 1 of the Massachusetts constitution to allow only heterosexual couples to marry. It’s inspiring that John Adam’s work of 233 years ago is still bringing justice today, but back to Elijah and Article 3. Article 2 of the Massachusetts Declaration of Rights said ” no subject shall be hurt, molested or restrained in his person, liberty or estate for worship of God in the manner and season most agreeable to the dictates of his own conscience for his religious profession of sentiments”, but Article 3 asserted that every town or parish had the right to make suitable provision at their own expense for the institution of the public worship of God and for the support and maintenance of public Protestant teachers of piety, religion and morality. This meant that compulsory religious taxes were still to be laid in the new state. The fourth paragraph allowed non-Congregationalists to pay the tax to their own pastor, but the courts construed this clause so narrowly that in practice it exempted only members of an incorporated Episcopalian, Baptist, Methodist or Universalist Church. A member of one of these bodies who resided too far from his church to attend, or a non-church goer had to pay to support a Congregational minister ( unless he lived in Boston where the voluntary system prevailed.) In Elijah’s case, he had to pay because he had not yet been accepted as a full member of the Baptist church. In December of 1780, Attleboro had authorized renovation of its Congregational church in the amount of 23,000 pounds and was aggressively raising funds. At least four of Elijah’s neighbors who refused to pay had a cow siezed and sold at public auction to satisfy the requirement. Anyone who refused to pay was called “A Certificate man” which meant that they were probably a Quaker, Baptist or Episcopalian. The Baptists in Massachusetts had been fighting to dis-establish the standing church concept for over 100 years. By disestablishment, they meant the abolishing of religious taxes. By Feb 2, 1782 Elijah, with counsel, had filed suit against the assessors Wilkerson, Wilmarth and Richardson and was in the Justice of Peace Court at Norton (held in Justice Holmes’ house). He stated that because he was a member of the Baptist Society, regular attendance and financally supporting it, that he was not liable for the religious tax. He claimed that the assessors were in full knowledge of this and that the arrest was arbitrary, illegal and vexatious. The ruling went against Elijah. He filed an appeal in the Inferior Court of Common Pleas at the Bristol County Courthouse in Taunton and the review was set for the March term. His case was based on the claim that Article 3 was unconstitutional. Article 3 was a compromise which attempted to satisfy those who wanted to continue the old Puritan tradition of an established tax supported church and those who wanted a voluntary church system. It satisfied neither group and was the most controversial and hotly debated issue at town meetings which preceded the ratification of the constitution. Massachusetts officials recognized Elijah’s appeal to be an ideal test case and the Attorney General personally appeared to argue for the defendants. Elijah was suppoted by Isaac Backus, spokesman for the Baptists and other minority sects whho were closely watching the case progress. The defendants tried to get a trial by jury, but Elijah realizing the difficulties to seat an impartial jury and because of the complexity of the isses insisted that it be heard by competent judges. Decision by judges also would enhance the legal precedent and potential for future impact. Elijah claimed that his relationship with God was purely between he and his creator and the government had no right to intervene. He argued for a separation of church and state in order that each individual could worship and support the church of his choice. The court ruled in his favor and awarded him six pounds, eighteen shillings and sixpence court costs and recovery of the tax and penalty. The Baptists and minority sects (and even some Congregationalists) were overjoyed and the case was appropriately publicized. Isaac Backus even had tracts printed explaining the expected impact of the decision. This joy turned to sorrow two years later when Baptist Gershin Cutter of Middleboro found himself in a similar plight as Elijah. This time the local court ruled in his favor, but on appeal against him. For the next fifty years Massachusetts authorities did their best to make the religious tax stick until 1833 when the constitution was amended to eliminate it. While the Bolkcom case was being enjoyed in Massachusetts, Virginia was in the throes of fiery debate on the same subject. George Washington, Patrick Henry and Richard Lee argued for the general assessment bill with Thomas Jefferson, James Madison and George Mason opposed. In 1786 the bill was defeated and Jefferson became recognized as the author and initiator of the separation of church and state in the new nation. A close look at Jefferson’s argument reveals that his opposition was based upon a fear that religious influences would creep into government much as they had in Europe and impose their will on the people through government. An effective philosophy which is as important today as it was in 1786. Elijah’s argument that religion was prior to all states and kingdoms of the world and could not in its nature be subject to human laws was different from Jefferson’s. How different might our posture be today towards prayer in schools and federal aid to education if his reason for separation had been accepted rather than Jefferson’s. i. Olive Balcom b: 29 Jul 1787 in Attleboro, Bristol, Massachusetts; d. 17 Oct 1820 in Attleboro, Bristol, Mass.. m. 5 Feb 1812 Attleboro to Silas Richardson (b. 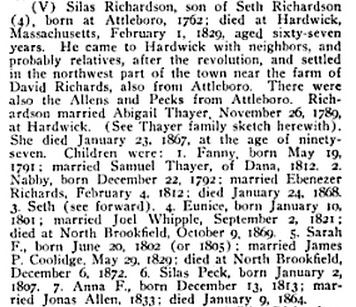 2 Apr 1791 Attleboro – 16 Jul 1878 Winslow, Kennebec, Maine) Silas’ parents were our ancestors Seth RICHARDSON II and Sarah FRENCH. After Olive died, Silas married twice more, 3 Jun 1821 Attleboro to Ruth Cutting and 17 Apr 1854 Winslow, Maine to Mary Daggety. Silas’ second wife Ruth Cutting was born 18 Jul 1786 in Attleborough, Bristol, Mass. Her parents were Aaron Cutting and Margaret Claflin. Ruth died 19 May 1853 in Winslow, Kennebec, Maine and is buried at Getchell # 4 Cemetery, Winslow, Maine. Silas’ third wife Mary Daggety was born 10 Dec 1791 in Mass. She first married Nov 1808 to Walter Cain (1780 – 1834) and second to Benjamin Cleveland (1794 – 1853) before she married Silas 17 Apr 1854. Mary died of typhoid fever 23 Apr 1870 in Skowhegan, Somerset, Maine. In the 1850 census, Silas and Ruth were farming in Winslow, Kennebec, Maine. Silas (1791-1877), settled in Winslow about 1822. His wife was Ruth Cutting, of Attleboro. Their son, George M., married Achsah D., daughter of Richard, and granddaughter of Richard Handy, who came to Albion from Wareham, Mass. Their children are: Clara J., Ruth C. (Mrs. C. H. Morse, of Randolph), Lester, George D. and Everett. v. Dexter Balcom b: 27 Apr 1793 in Attleboro; d. 6 Feb 1844 in Strykersville, Wyoming, New York; m. 7 Sep 1813 in Dighton, Bristol, Massachusetts, to Desire Dillon. His wife Desire Dilson died in 1876. He was not md to Milly Rounds as Desire was still alive when he died. vi. Stephen Balcom b: 2 Oct 1794 in Attleboro m. 3 Feb 1819 in Cumberland, Mass. to Anna Ruth Riggins (b. 28 Dec 1796 in Bridgton, New Jersey – d. Mar 1878 in Riverfalls, Wisconsin) Anna’s parents were James Riggins and Nancy Black. This entry was posted in -9th Generation, Dissenter, Line - Shaw, Storied and tagged Apr 19 1775 - Minuteman, Elijah Balkcom vs. Antidisestablishmentarianism. Bookmark the permalink. Thank you to Ronald Balkom for forwarding me Robert E Bolkom’s of Lakeland Florida December 1984 article about Elijah Balkcom’s fight for his religious rights. I transcribed, adding pictures, links and commentary. Do you remember learning in elementary school that Antidisestablishmentarianism was the longest word in the English language? I never knew what that word meant. Turns out it was the ideology opposing Elijah in 1781. William Clark and Rebecah Bolkcom. William was actully the son of Seth Clark and Mary Wild. William was born 27 March 1752 in Norton MA. Married Rebecah 20 May 1773 . They moved to Woodstock where my 3rd great grandmother was born (the original reeecord shows Cynda as opposed to Lynda as the book state). William died in Belchertown MA 20 March 1843. 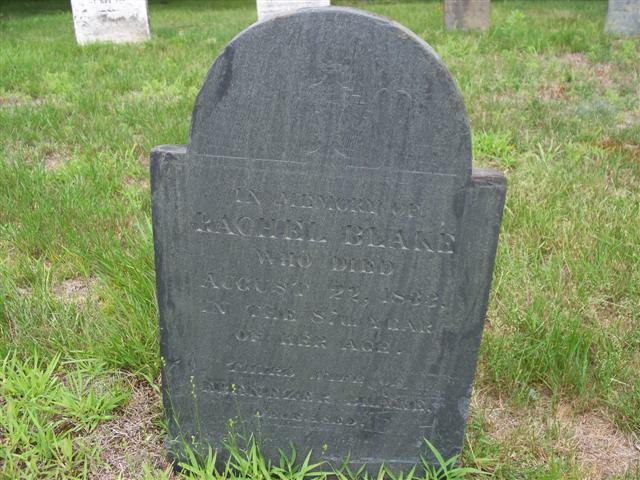 Rebecah died 22 Nov 1836 in Belchertown. I have William’s Revolutionary War pension file as well as the Will of his son-in-law Elam Wright who mentions and provides for Williams care and funeral in his estate. My 3rd. great married first Rufus Wright in 1802 and second David Jenks in 1814. She married Rufus under the name Cendy and David Lucinda. I have a copy of her original birth as originally recorded in Woodstock records. She named her first two children William Clark Jenks and Rebecca Jenks. Both William and Rebecah is buried at the South Cemetery in Belchertown findagrave memorials #106437349 and #106437323. William’s war file has letters from both his brothers who had also moved to Woodstock. Their father Seth died in Woodstock on 12 Jan 1811.and Mary died in Woodstock on 17 Dec 1804. I forgot to mention that William and Rebecah’s daughter Rachel married Elam Wright the same year Lucind (Cynda) married Rufus and both marriages took place in Belchertown MA. As stated in the last post Elam made provissions in his Will for his father-in-law’s care who was still alive at its writing. These families were close and had some envolment in establishing the Baptist group ib Belchertown. The Baptist meeting house was on my 5th great grandfather Lawrence Jenks land. I was in Woodstock last September and copied several property records. One of he records I copied William Clark and his half brother Jacob Leonard sold their brother John Clark their part of their inheritence from thier honored parents Seth and Mary Clark in 1813. I also have a copy of Cynda Clark’s (Not Lynda as indexed or shown in the Woodstock book). I also have property records where Cinda Jenks wife of David Jenks purchased and sold Land in Pelham. I also have a property record where William Clark sold Lucina Jenks wife of David Jinks, William Clark Jenks land as stated in my previous post. There were two William Clarks in Norton at the time of his marraige and the other William was older. This is also why William is referred to as William Clark2. The several land records I have are all records where Seth, William, Mary, John and David purchased land in Woodstock. The parents are always refered to as Seth and Mary. William son of Seth and Mary was alive well after the William refered as dying in 1803. I also have copies of William’s and his two brother Revolutionry War pension files from the 1830s. I have also taken pictures of both William and Rebeca’s grave markers showing Rebecca died 26 Nov 1836 see findagrave memorial #106437323 and William died 27 Apr 1843 memorial #106437349. William is mentioned in his son-in-laws Elam Wright’s Will who was the husband of Rachel “Clark” Wright. Rufus Wright and Cinda Clark, Elam Wright and Rachel Clark of Belchertown is listed on the same page in the Belchertown records. Lucida Wright married David Jenks in 1814 after the death of both thier spouses. As stated Lucinda was also refered to as Cinda. The info on the page list the wrong William Clark who died in 1803.